Bringing an end to a tumultuous year in politics, the midterm elections have been fascinating, consequential, and sometimes downright weird. 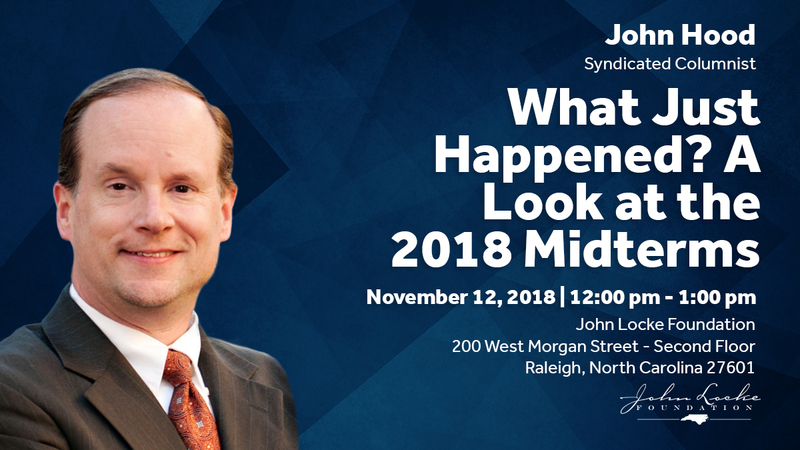 John Hood, syndicated columnist and chairman of the John Locke Foundation board of directors, will analyze the results — with a particular emphasis on North Carolina’s “blue moon” cycle of local, legislative, judicial, and referendum elections — and discuss the implications for public policy in 2019 and beyond. We hope that you can bring your lunch and join us on Monday, November 12th at noon!